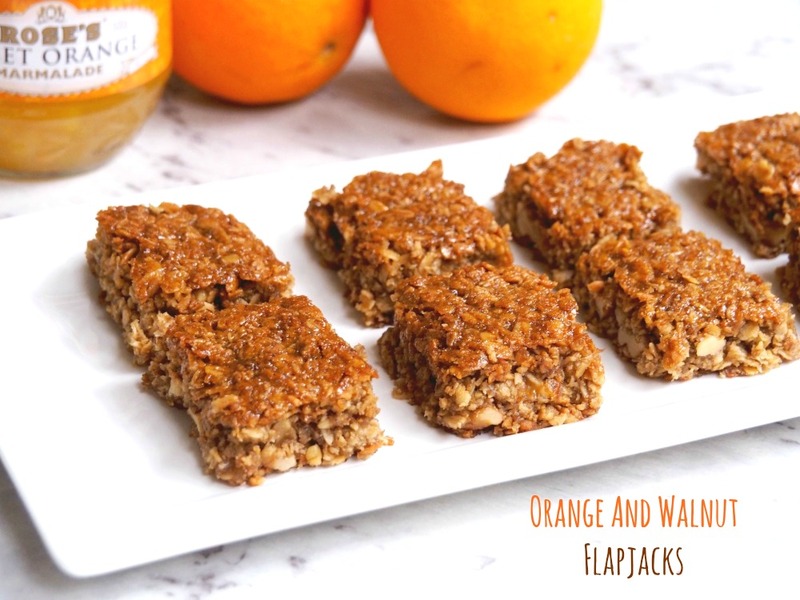 With a hint of orange and the crunch of nuts, these flapjacks are a totally tasty treat. I am a bit obsessed with marmalade. I think it’s in my genes. My nana used to love marmalade, in fact, I think she’d give Paddington a run for his money in the marmalade loving department. I love baking with marmalade so much, I think nana would be proud! Have you seen my Easy Orange Tea Bread, my Anzac and Orange Marmalade Slice and if savoury is more your style, how about Marmalade Chicken"
It was the end of term at school the other day and as it was about 40 degrees outside the students voted for a movie in class rather than a picnic outside. They so wise! I wanted to show them the movie Paddington because a) it’s my favourite and b) even if you’re English isn’t up to scratch, it’s so visual, it’s easy to understand what’s going on. I took some popcorn but really I should have taken marmalade sandwiches because none of them had ever tasted marmalade! Can you believe"! Every time I watch Paddington, I want to eat marmalade and then of course, I want to bake with it too. These flapjacks were the results of my latest Paddington viewing and really, I think he would approve. They’re super cheap and super easy to make and so moreish, it’s almost impossible to stop at one square.